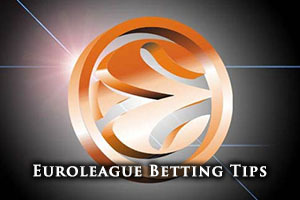 This is a really exciting time for Euroleague basketball betting and this is definitely the case in Turkey on Friday night. Fenerbahce know that they if they defeat Milan, they will book their spot in the next round but the thing is, they could already have a spot in the playoff confirmed in Anadolu Efes Istanbul loses on Thursday. 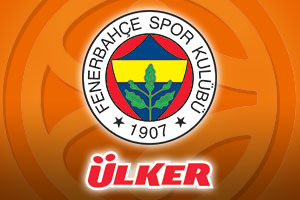 There is also the fact that Fenerbahce will qualify if Laboral loses on Friday. This means that the pressure on the Turkish side isn’t that but they will also know that if they can win their next four games, they will be top of the group, which is a big incentive for the Turkish side to keep on playing to win. The home side have been in excellent form so far this season in the Euroleague, holding an overall record of 16-4. They have an 8-2 record in the Top 16 and this comes on the back of an 8-2 record in the regular season. They face a Milan side that has an 8-12 record overall in the Euroleague. Milan grabbed a 5-5 record in the regular season and they currently hold a 3-7 record in the Top 16. They will be keen to improve on this record but it will not be a simple or easy task. With respect to average points scored, Fenerbahce lead the way with 81.7 points compared to 76.3. Andrew Goudelock has been in excellent form for the home side this campaign, grabbing an average of 17.0 points per game this season. He has been one of the key reasons why Fenerbahce stand on the brink of qualifying for the playoffs. He has been assisted by Nemanja Bjelica, who has provided an average of 7.9 rebounds per game this season while Emir Preldzic has provided an average of 3.1 assists per game this campaign. For Milan, MarShon Brooks has been vital and he has offered up an average of 12.2 points per game this season. Samardo Samuels has also been in decent form for the Italian side, providing an average of 5.3 rebounds per game. Daniel Hackett has also been a major player for Milan this season, providing an average of 4.5 assists per game this campaign. Fenerbahce are at the top of the Turkish league with a 17-5 record and in their most recent domestic game, they had an overtime win over Istanbul BSB, winning by 91-89. In Italy, Milan are clear at the top with a 19-2 record. Their most recent domestic game came on Sunday and it was a 79-69 win over Openjobmetis Varese. Fenerbahce know what is at stake for them in this game and they will be desperate to win and get through to the next round of the 2014/15 Euroleague. This means that taking Fenerbahce with a -10 handicap, at odds of 1.90, is a good bet for Friday night. If you are looking to play the Over/Under market, go OVER 158.5 at odds of 1.90. You will find that Bet365 have both of these bets.